In Live 10 Healthy Years Longer, biostatician Dr. Jan Kuzma and prolific writer Cecil Murphey make a startling connection between the spiritual and physical realms of our lives. After an in-depth 25-year study involving more than 27,000 participants, they discovered an amazing medical breakthrough that offers each of us the potential to live longer, healthier and happier lives. The "live longer lifestyle," based on Kuzma's years of research in longevity, present practical suggestions for reducing heart disease and cancer, losing weight, increasing vitality, enjoying life, and faithfully caring for the body that God has given each of us. 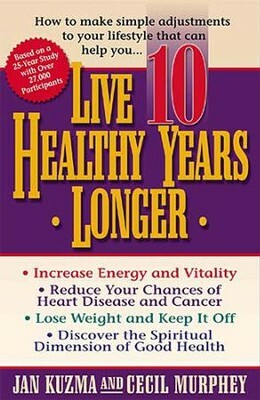 I'm the author/artist and I want to review Live 10 Healthy Years Longer - eBook.